Clark County is a county located in the state of Kentucky. Based on the 2010 census, the population was 35,613. The county seat is Winchester. The county was created in 1792. Clark county is named for Revolutionary War hero George Rogers Clark. Clark County is part of the Lexington-Fayette, KY Metropolitan Statistical Area. The county is named for General George Rogers Clark (1752-1818), Kentucky military hero. Many pioneers traveled through nearby Fort Boonesborough (alternatively known as Fort Boonesboro) in Madison County, Kentucky, before establishing permanent settlements in Clark County. At least nineteen pioneer stations (settlements) are believed to have been established in the area during the American Revolution. These included Strode's Station (1779), near Winchester; McGee's Station (ca. 1780), near Becknerville; Holder's Station (1781), on Lower Howard's Creek; and Boyle's Station (ca. 1785), one mile west of Strode's Station. Among the early settlers was a group of forty Baptist families led by Capt. William Bush, who settled on Lower Howard's Creek in 1775. In 1793 they erected the Old Stone Meeting House. Another early group founded the Tracy settlement, erecting a church building in the 1790s that survived into the early 20th century. Clark county was formed in 1793. 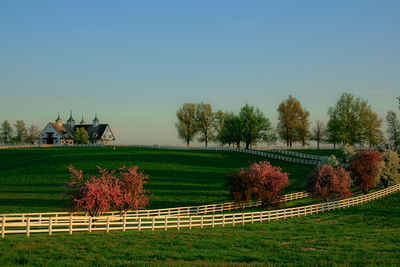 It is located in the Outer Bluegrass region of the state. The elevation in the county ranges from 549 to 1120 feet above sea level. 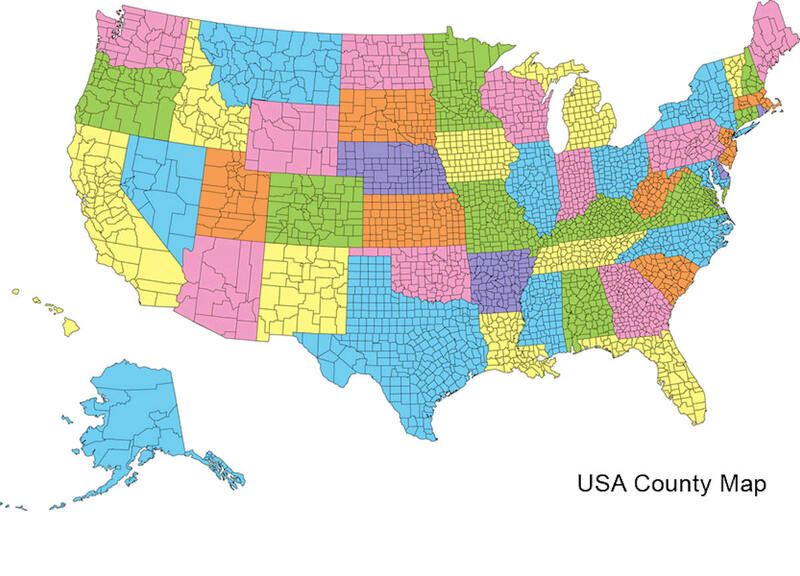 In 2000 the county population was 33,144 in a land area of 254.31 square miles, an average of 130.3 people per square mile. 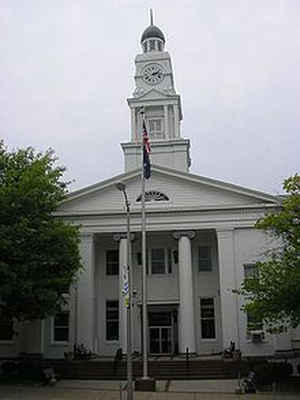 The county seat is Winchester. Tobacco is a major farm crop, and livestock are also raised there. As reported by the Census Bureau, the county has a total area of 255 square miles (660 km2), of which 252 square miles (650 km2) is land and 2.7 square miles (7.0 km2) (1.1%) is water. Clark county is located close to the center of Kentucky. The landscape of the county is gently rolling. Water sources in this county include the Kentucky River, Red River, Lulbegrud Creek, and Boone's Creek.